ACT QUICK – #ChicagoSeminars 2013 FREE ticket giveaway! 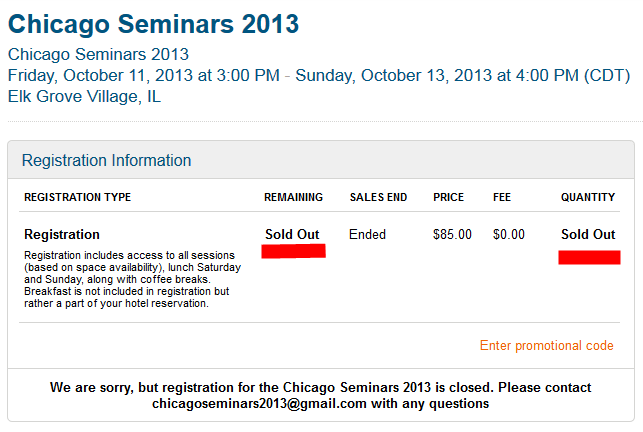 Blog reader Phil will not be able to attend the Chicago Seminars 2013. He has been kind enough to allow me to give away his ticket on the blog (thank you so much Phil). This is a SOLD OUT event so this is the only way you can go ie find someone who has a ticket but can’t go! Hopefully you can even join Lisa, me and others the day BEFORE the event on a Segway ride along the Chicago Lakeshore. I want to learn how to use Chase UR better. Hope to make better use of available tools to maximize award travel. Networking and the latest in manufactured spend. Want to soak in as much information as I can. Thanks. 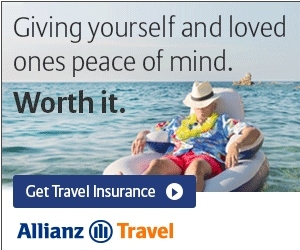 I’d like to go just to network and meet other frugal travelers. Learning how to select best mileage runs domestically. miles to fly free in Business or first Class. I want to go from DIY to learning from the professionals. Networking. Find out if anyone uses my home ariports! Cmh,day,cvg!!!!! I would love to find out about hotels for cheaper such as visiting my old college town for game days. I’m a newbie, so I would also love to learn anything. Would be great to meet other like-minded people and not feel like I’m the only travel “geek” within a 10 mile radius. How to identify and maximize award travel and implementing stopover technics to extend a trip. I would like to learn more about maximizing award ticket routines, I.e. “the free one way”. But anything new learned would be great! Chicago is still nice right now! @Garrett – HA! If I were not using Random.org to pick the winner I would pick you. Great stuff! Would like to learn about the secret tricks not shared on blogs! Networking, I’m curious to death what do other mileage runners do! Learn to be a better writer, traveller and meet people who share this crazy hobby! @Gray – sorry we already have a winner! Gotta find out about Mileage Runs!